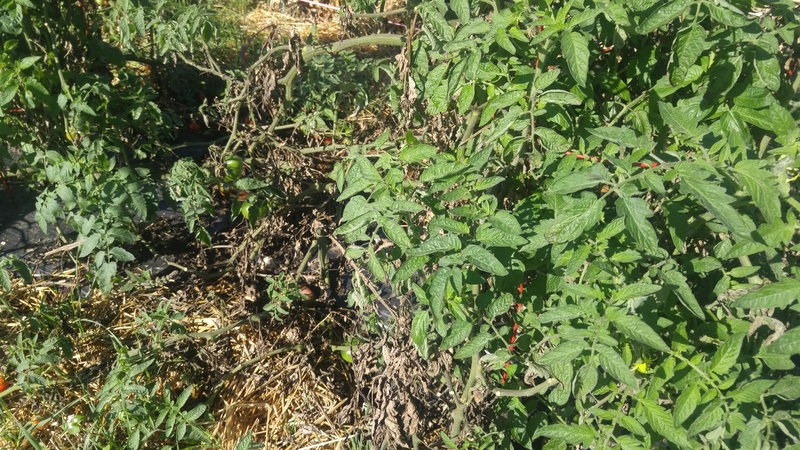 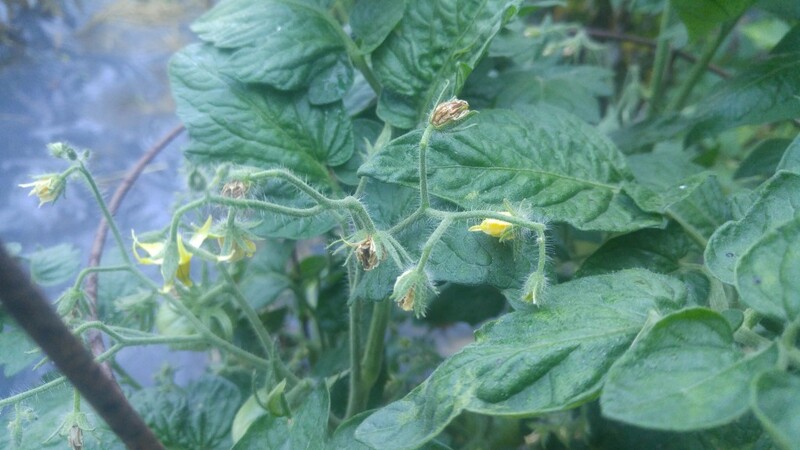 Notice the new green foliage on the Granny Cantrell plant on the right compared to the defoliated tomato on the left. 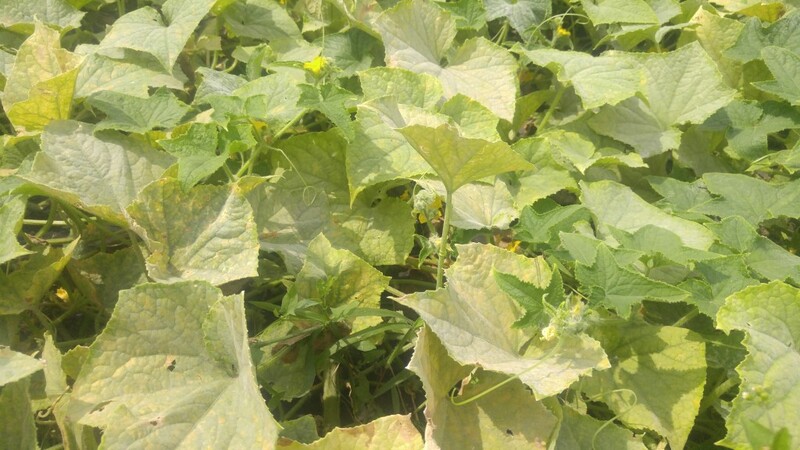 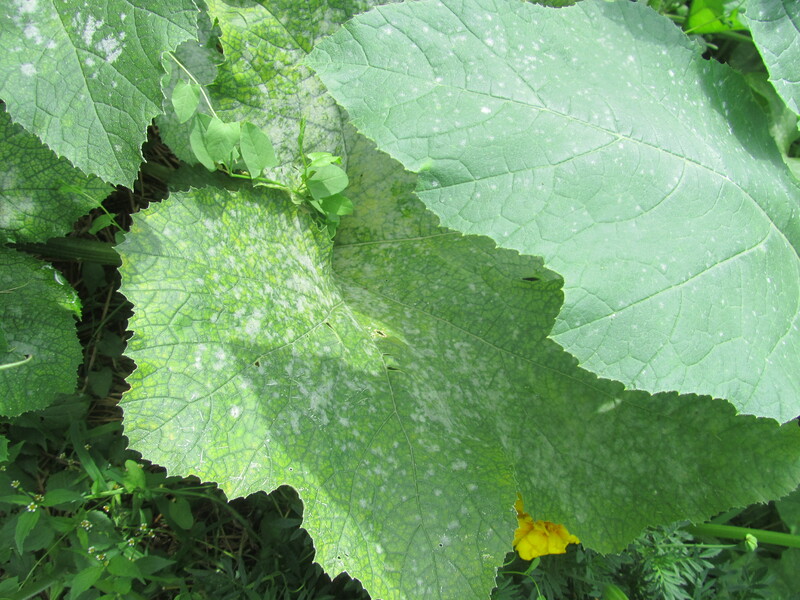 Some varieties of pumpkins and squash are more resistant to powdery mildew than others. 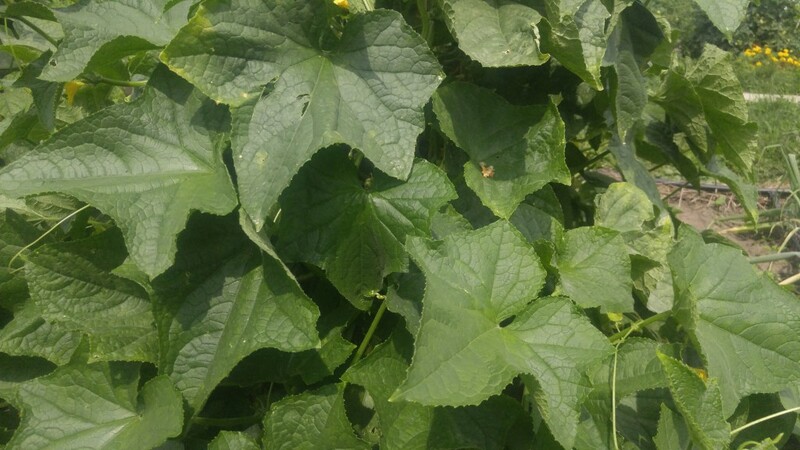 Here are two different varieties growing side by side.